Couple O' Days Backpackers i Surfers Paradise, Australia: Bestill nå! WiFi is provided free and unlimited. 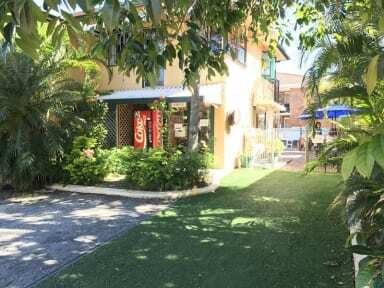 Located just minutes walk from Surfers Paradise beach, shops, buses, restaurants and nightlife. We are a small, friendly, laid back place to stay. Our facilities include free security lockers, a pool, book exchange, games and free use of the BBQ. All rooms have fans and linen is provided. We have info on all the popular tours and attractions and great special deals for backpackers. We have a number of room types available including dormitories (female only and mixed), 4 share dorm, twin rooms, double rooms, triple rooms and single rooms. You must be able to check-in before 8pm on the day of your arrival. 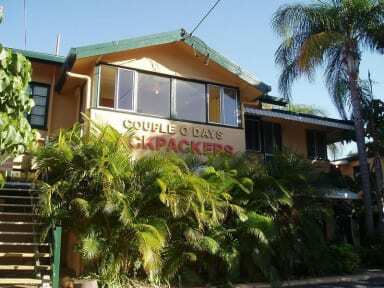 This hostel is for backpackers 18 years of age and over. Overseas passport or overseas drivers license required for all guests. $20 Cash deposit per key to paid upon arrival. Worst hostel I've stayed in Australia so far. No atmosphere. Stayed in a 12 people dorm, and it was absolutely no way of getting a good night sleep because of too many people in one room and therefore it was way to hot. Wouldn't recommend it.